Today, Paramount is releasing Mission: Impossible – Rogue Nation on Blu-ray. This fifth film in the series once again follows super spy Ethan Hunt (Tom Cruise), who has now gone rogue to track down a syndicate of highly trained agents, becoming closely involved with Ilsa Faust (Rebecca Ferugson), a British agent who may just be involved with the same group he is trying to take down. 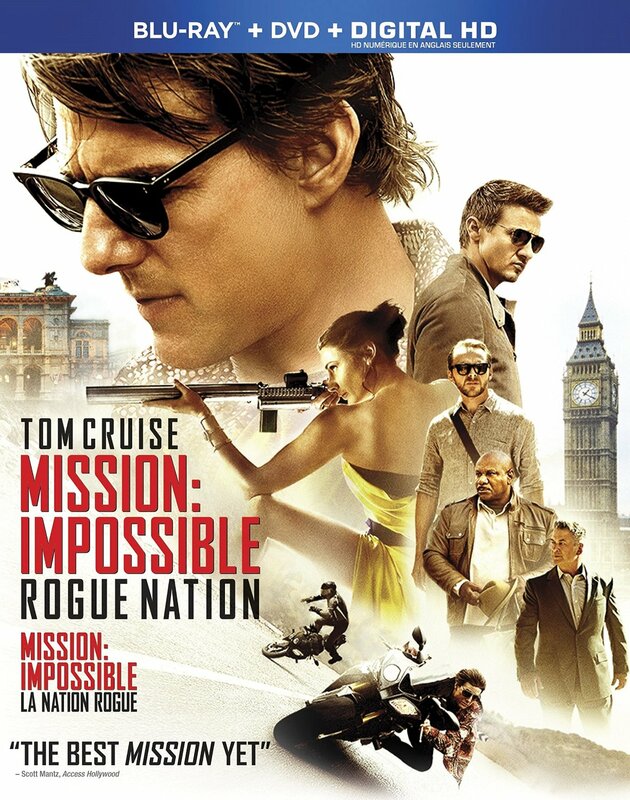 For an entertaining espionage thriller that enjoyably defies the laws of physics in favour of staging the sort of genuinely thrilling and expertly choreographed action sequences that us fans of the series have come to love, Mission: Impossible – Rogue Nation is simply a lot of fun, and bound to keep audiences on the edges of their seats. I really liked this one, and my full review can be found right here. The Blu-ray includes a commentary track with Tom Cruise and director Christopher McQuarrie, as well as seven featurettes that take us behind the scenes of some of the biggest action sequences in the film. Mission: Impossible – Rogue Nation is 131 minutes and rated PG.